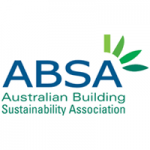 The Building Sustainability Index (BASIX) is a planning initiative of the New South Wales Government that sets sustainability targets for water, energy and thermal comfort. 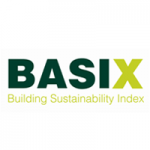 BASIX certificates are generated using the online BASIX assessment tool to show compliance with each of the three sustainability targets. These environmental outcomes also provide a long term financial saving for homeowners – and a valuable contribution to the sustainable future of the community. The Nationwide House Energy Rating Scheme (NatHERS) is a star rating system that rates the energy efficiency of houses, based on their design, construction materials and location. It is a national scheme, administered by the Department of the Environment and Energy, which aims to reduce energy usage and greenhouse gas impacts of residential buildings. NatHERS house ratings use computer simulations to determine the potential thermal comfort of homes on a scale of 0 to 10 stars. The more stars, the less likely the occupants will need artificial cooling or heating to stay comfortable. Using one of the accredited software tools (BERS Pro, FirstRate5 or Accurate), data is entered to develop a model simulation of the house. The Chenath engine at the back end of the software uses historical weather data, occupancy settings and internal heat loads to then determine annual heating and cooling requirements which is converted to a star rating. Deemed-to-Satisfy (DTS) also know as Elemental Provisions represent a ‘checklist’ solution whereby each building element must meet the requirement set out in Volume Two of the National Construction Code (NCC). The intent is to ensure that the construction around conditioned spaces have sufficient levels of thermal performance so that the interior is likely to stay warm in cold weather and cool in hot weather. The main elements which are assessed include the roof/ceiling, walls, floor, glazing and air movement. There is no flexibility with this method of assessment as each element needs to comply independently. The advantage though is that it is fairly quick and simple. A VURB (Verification Using a Reference Building) assessment is an alternative solution that can be used if compliance cannot be achieved using the NatHERS or DTS methods. Verification Method V2.6.2.2 uses a theoretical reference building, which is a building modelled with the Deemed-to-Satisfy provisions, to determine an annual energy consumption as a benchmark. The annual energy consumption for the proposed building (including client specifications) is then calculated using the same thermal modelling software along with a set of fixed parameters. Compliance is verified if the proposed building has an annual energy consumption equal to or less than that of the reference building. Due to its increased complexity, this assessment method does take longer, as we essentially need to conduct a DTS assessment and two software ratings. The benefits though, include more flexibility with design specifications as well as lower construction costs. Whilst this may be a more cost effective solution, the thermal performance of the building cannot be compared to that of a 6 star rated house. 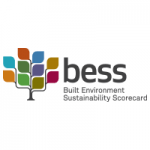 The Built Environment Scorecard (BESS) is an assessment tool created by the Victorian Council Alliance for a Sustainable Built Environment (CASBE). The aim of the tool is to assist builders and developers to show how a proposed development demonstrates sustainable design at the planning stage. BESS can also be used by any member of the community to assess the design of their home and find ways to make it more sustainable.